All my life I grew up very conscious with how I look. I would usually spend hours in front of the mirror just to perfect that hairdo and waste so much time in choosing the clothes I’d wear. I was always concerned with what people would probably say about my physical appearance. For me, it was always about aesthetics and outer appearances. But, all that changed when I became a mom 19 years ago. Having my hands full being a mother meant less time for myself. I eventually realized that I shouldn’t merely focus on looks, but rather, learn how to love and appreciate more of myself and what lies within. Now, as I am close to hitting 40 in a couple of weeks, I am more concerned about having a healthier body and living a lifestyle free from stress. 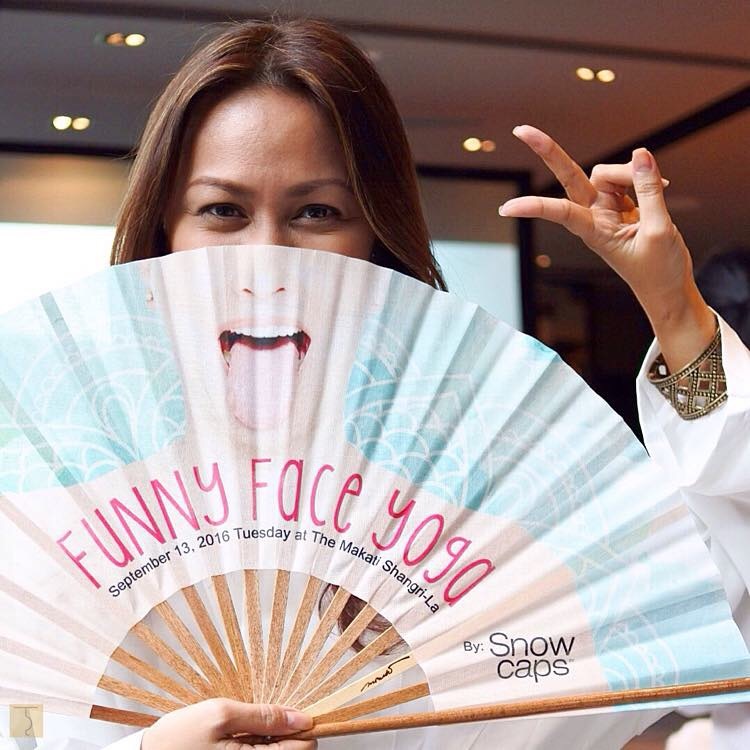 It was very timely also that I was able to attend a Funny Face Yoga session led by Vivien Tan in partnership with Snow Caps at the Sage Bar of The Makati Shangri-La Hotel. Vivien Tan was a former model who started her career when she was 12 years old. Being immersed in the world of fashion and beauty at a young age, she had to be beautiful in the eyes of people all the time. She also witnessed how women pressure themselves to be perfect and even saw young girls fall victim to dieting and health disorders like anorexia. At the peak of her career, Vivien decided to leave the world of high-fashion and embraced her new role as a wife and a mother. She learned that her and society’s definition of “beauty” turned out to be unreal and went on a pursuit of what real beauty is. By becoming a yoga teacher, she learned how to find joy from within and illustrated the fun side of this discipline through the Funny Face Yoga. 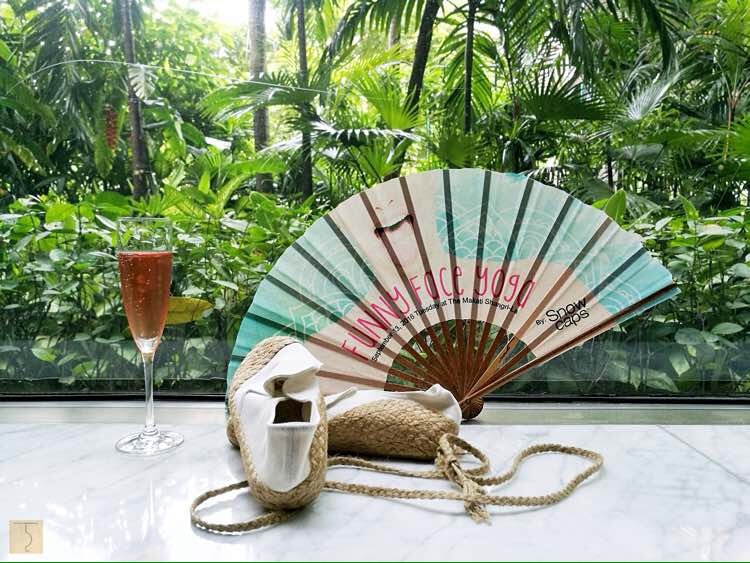 Before the start of the event, we were given a lounge robe designed by Joey Samson, locally made Wataru Espadrilles and a fan from Casa Mercedes. 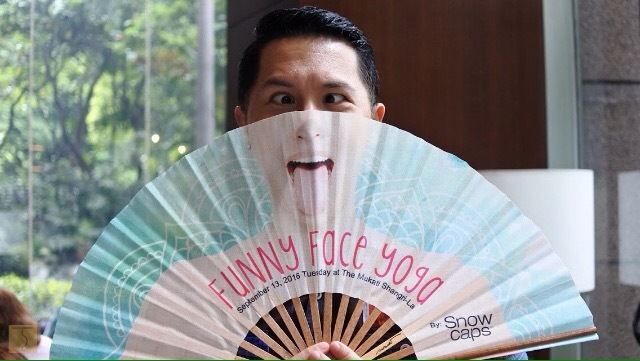 During our Funny Face Yoga session, Vivien shared three kinds of exercises: breathing, kissing and eye exercises. It may sound simple but these exercises are exactly what we need. We may not realize it right away, but as much as our body is designed to function, perform and endure the demands of everyday life, it also needs time to rest and detach itself from the stresses it brings. 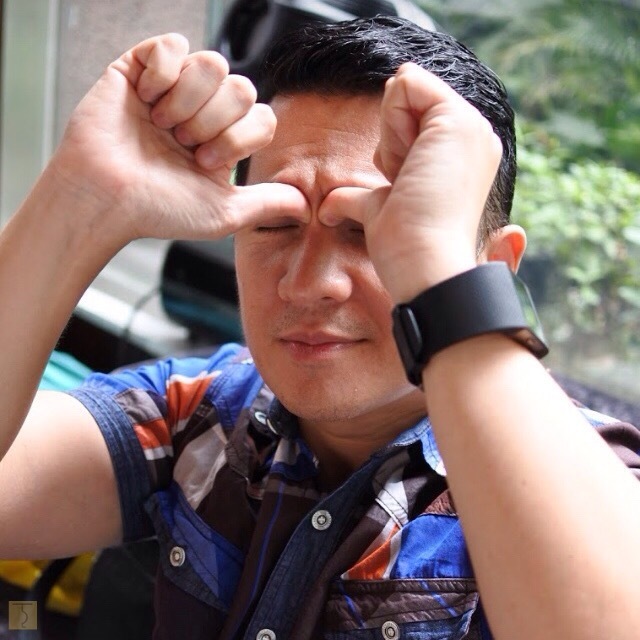 I noticed that by doing the Funny Face Yoga, one can feel rejuvenated in an instant. It can be done anytime, anywhere and best of all, it is absolutely free! Even men can do this. It may look funny and quite silly while you’re at it, but that’s exactly what Funny Face Yoga is all about — being able to laugh at yourself, laugh with others and spread happiness. As a wife, mom to 2 teens and a career woman, this short but incredibly fun activity was very timely. It may sound cliche but, indeed, true beauty really comes from within. When you accept your imperfections and weaknesses, you open a portion of yourself for improvement — and it is from this mindset that Snow Caps wishes to impart their advocacy of supporting women to be better versions of themselves. With Snow Caps Glutathione partnering with Funny Face Yoga, you get the best of both worlds — a mindset and know-how to achieve joy from within, as well as the right arsenal in combatting the toxins and free radicals that cause harm to your skin and body. I personally take Snow Caps Glutathione daily since it contains vitamin C and alpha liphoic acid which help my skin look healthy and glowing. Staying fit, healthy and of course beautiful are 3 things I strive hard to live by each day. This allows myself to ably spend more time with my family and keep up with them. 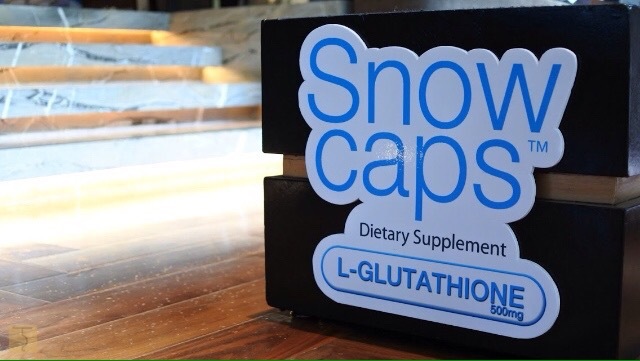 To know more about the many health benefits of Snow Caps Glutathione, read my other blog post here. Check out Snow Caps on Facebook (Snow Caps Glutathione) and on the Vida Nutriscience website (vidanutriscience.com). You can also call them at (02) 927-9227. Tickles at SM Megamall is now open!